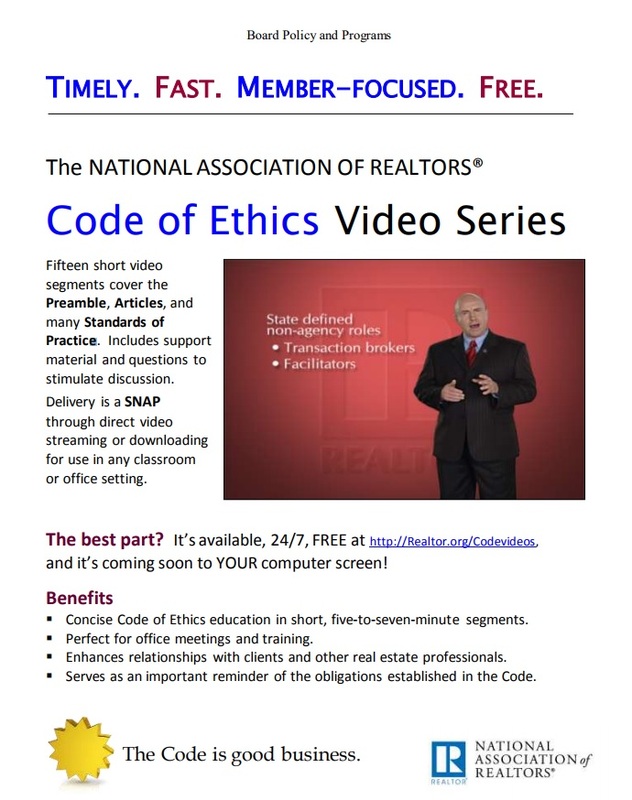 CLICK HERE to view NAR’s Code of Ethics and Standards. Boards and associations of REALTORS® are responsible for enforcing the REALTORS® Code of Ethics. The Code of Ethics imposes duties above and in addition to those imposed by law or regulation which apply only to real estate professionals who choose to become REALTORS®. Many difficulties between real estate professionals (whether REALTORS® or not) result from misunderstanding, miscommunication, or lack of adequate communication. If you have a problem with a real estate professional, you may want to speak with them or with a principal broker in the firm. Open, constructive discussion often resolves questions or differences, eliminating the need for further action.